The reproductive soft tissues that support the fetus undergo some of the most dramatic and unique growth and remodeling events in the human body. During pregnancy, the uterus and fetal membrane must grow and stretch to accommodate the fetus. Simultaneously, the cervix must remodel and be a mechanical barrier to keep the fetus within the uterus. All three tissues must withstand mechanical forces to protect, support, and maintain an optimal growth environment for the developing baby. Then, in a reversal of roles, ideally nearing term, the uterus begins to contract and the cervix deforms to allow for a safe delivery. The magnitude of stress and stretch of these soft tissues supporting the fetus are thought to control physiologic processes that regulate tissue growth, remodeling, contractility, and rupture, and it is generally hypothesized that these mechanical signals are clinical cues for normal labor and preterm birth, a major long-lasting public health problem with heavy emotional and financial consequences. In this talk I will reveal what we know about the soft tissue mechanics of pregnancy. I will present finite element models of pregnancy based on ultrasonic anatomical data, and I will examine the mechanical function of the soft tissues that support the fetus. I will also specifically characterize cervical material properties using a hyperelastic constitutive model that accounts for the cervical collagen fiber architecture and hormone-mediated remodeling relationships. Through this experimental and modeling effort I aim to identify which factor or combination of factors is responsible for clinically-observed mechanical dysfunction in pregnancy. Kristin is an Associate Professor in the Department of Mechanical Engineering at Columbia University in the City of New York. Her current obstetrics research is done in collaboration with the Department of Obstetrics and Gynecology at the Columbia University Medical Center. She received her Mechanical Engineering doctorate and masters degree from MIT and her bachelors degree from the University of Michigan. In 2017 Kristin was awarded the ASME Y.C. 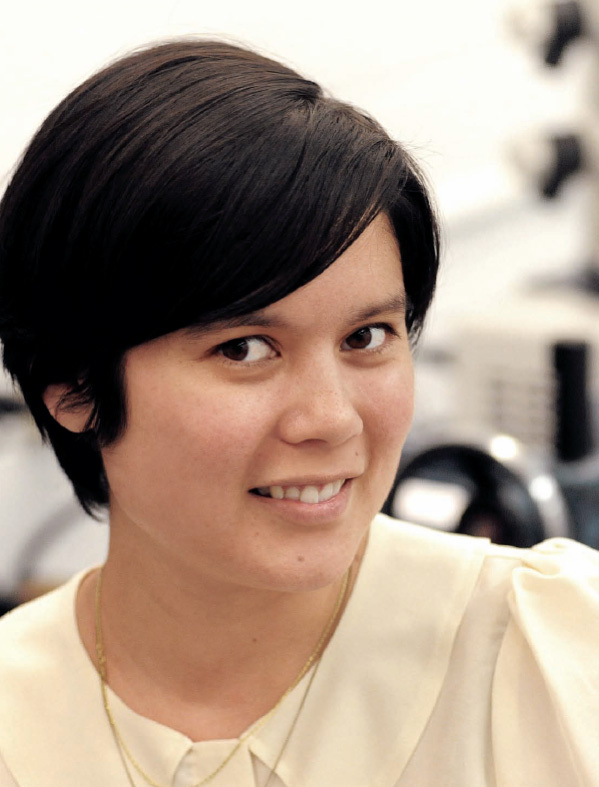 Fung Young Investigators award for her contributions to the field of biomechanics.